The bok choy or chinese cabbage is known in the Philippines as “Pechay”. Pechay is good for a low-calorie and low-fat diet, as a cup would only represent less than 20 calories and 0g of fat. It is also high in fiber, which aids digestion. Pechay is rich in calcium, 43 mg of calcium per 100 g. It is also a good source of vitamin K, which helps facilitate the absorption of calcium and maintain bone density. 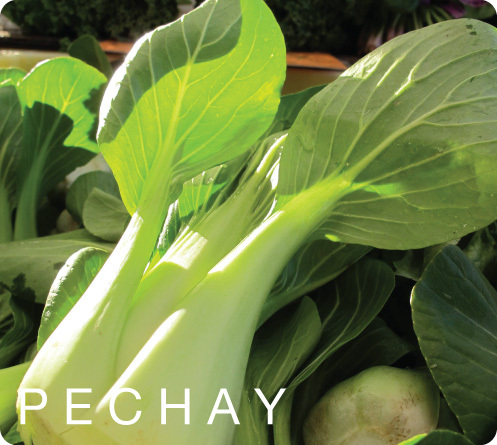 Pechay is a source of electrolytes and minerals like potassium, phosphorus, manganese, iron and magnesium. Potassium is an important component of cell and body fluids that helps controlling heart rate and blood pressure. It has good levels of vitamin C. 100 g of fresh pechay provides about 45% of daily requirements of this vitamin. Vitamin C is necessary for the synthesis of collagen, a major building block of the connective tissue.